George and Ellen Booth transformed a humble rock garden on their country estate in Bloomfield Hills into a serene Japanese garden. On Sunday, April 24, 2016, 3:00 p.m., Dr. Kendall H. Brown presents “Cranbrook’s Japanese Garden in Context: Japanese-style Landscapes in America, Then and Now.” Co-sponsored by the Japan America Society of Michigan and Southwestern Ontario and hosted in partnership with Cranbrook Institute of Science (map), the lecture admission is free. Seating is limited; doors open at 2:30 p.m. In 1915, Cranbrook founders George and Ellen Booth attended the Panama-Pacific International Exposition in San Francisco. 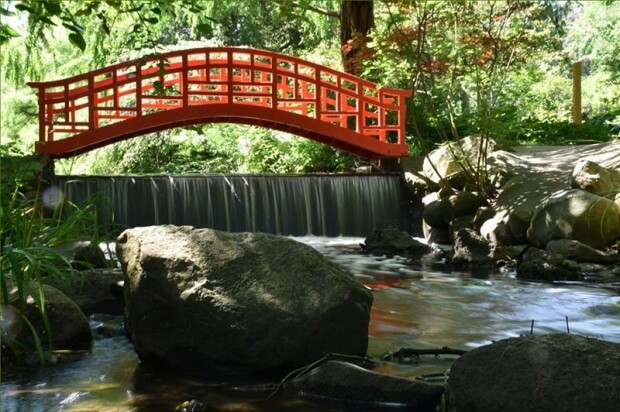 Inspired by the exposition’s Japanese pavilion, they returned to Cranbrook and transformed a humble rock garden on their country estate in Bloomfield Hills into a serene Japanese garden. 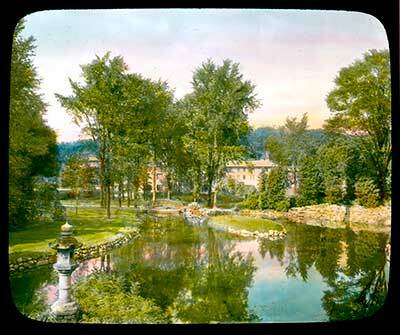 This lecture explores the fashion for Japanese gardens in America in the first decades of the 20th century, tracing their presence at worlds’ fairs, commercial sites, and great country homes. The presentation concludes by sketching how Japanese gardens are playing new, dynamic roles as sites of wellness and transformation today. Dr. Brown is Professor of Asian Art History in the School of Art at California State University, Long Beach. He received BA and MA degrees in history and art history from the University of California, Berkeley, and a Ph.D. in art history from Yale University. Professor Brown is a leading figure in the study of Japanese gardens in North America. His book, Quiet Beauty: The Japanese Gardens of North America, is considered the definitive study in this field. This is his first lecture in Michigan.